Despite prior support in Apple's development track, AirPlay 2 appears to have been removed from the third iOS 11.3 and tvOS 11.3 betas, issued earlier on Tuesday. 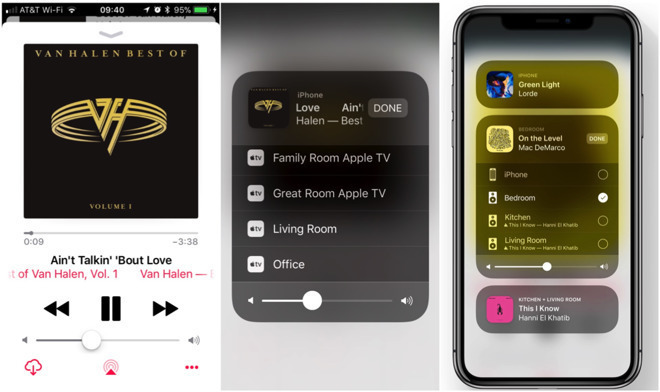 Beta testers can no longer take advantage of features like multi-room audio, or including an Apple TV in the iOS Home app, iDB noted. Apple has yet to provide an explanation. It could be that AirPlay 2 support is being postponed until 11.3.x or later, since it had a rough implementation in recent betas. Alternately it could be reintroduced in upcoming 11.3 beta seeds, and was simply taken out briefly for polishing. Once it's finished AirPlay 2 should provide an Apple-based alternative to platforms like Sonos or Google's Chromecast Audio. It was originally announced at WWDC 2017, but didn't make it into the initial release of iOS 11 in September. It also failed to materialize in time for this month's launch of the HomePod, for which the standard was likely conceived.